The Paleolithic, or Paleo diet, is based on the foods that the caveman in the Paleolithic era supposedly ate. This period in history, also called the Old Stone Age, extends from 2.4 million to 15,000 years ago and it is presumed that the caveman’s diet included only foods that would have been hunted or gathered, and animal-based protein is central to this diet. Foods included are vegetables, fruits, roots, nuts, seeds, meat, eggs and seafood. It excluded grains, dairy products, legumes (including peanuts), sugar, processed oils, salt, alcohol and coffee. This is primarily due to limited food preparation methods known to the caveman, such as cooking, fermenting and preserving. However, some fruits, especially grapes, may have naturally fermented to alcohol, and cooking techniques would have evolved after the discovery of fire, 200,000 to 400,000 years ago. The caveman consumed whatever was accessible in their environment, and the food intake would have most probably been raw and would have been very fresh and nutrient dense. The soil would have been much more fertile then, with a much larger number of plant species, many of which are now extinct. The vegetables would have had a higher nutrient content and would have been different to those consumed today. They were all wild-crafted and not an agricultural product. The Paleo diet has been developed and popularised in recent years and has become the latest trend. The diet described in the 2002 book “The Paleo Diet” suggests an intake of 55% seafood and lean meat, evenly divided and 15% fruits, vegetables, nuts and seeds. Presumably the remaining 30% would consist of vegetable oils. Permitted oils are olive, coconut, avocado, macadamia and palm oil, with the emphasis on mono-unsaturated fatty acids and saturated fatty acids. The polyunsaturated oils such as canola, sunflower, safflower, peanut, soybean and corn, are not included in the Paleo diet. There is considerable emphasis on the intake of coconut oil, but coconuts would only be available in tropical regions. Legumes (lentils, peas and beans) are excluded on this diet, as are grains (wheat, rye, barley, oats, spelt, rice) and possibly pseudo-grains (quinoa which is a seed and buckwheat which is a grass). Although the diet contained a high proportion of animal protein, there is some discussion that about half the protein intake was from vegetable sources such as nuts, and also from eggs. What was different about the caveman’s diet? The digestive system of modern humans is probably different to that of the cavemen as raw food is more difficult to digest, and before the discovery of fire they would eat tough fibres and would have had larger teeth for this purpose. Seeds, grains and legumes would not have been consumed before cooking methods were introduced and there would have been an abundance of animals and vegetation to which preference was given. They were not excluded for their pro-inflammatory properties which is the main reason for their exclusion from the Paleo diet. These animals would have contained higher levels of essential fats and differed greatly to modern farmed animals. The meat would have been consumed quickly as there was no way of preserving it except in very cold regions. There would not have been the same risk of bacterial contamination as there is today. The risk of contamination of meat is more prevalent today due to intensive farmed methods. The cavemen would have eaten organs and contents of the animals’ stomach (grasses, leaves), as wild animals do, as this provided carbohydrates and digestive enzymes. This would not be a popular recommendation in modern times. The meat probably wasn’t consumed on a daily basis as it had to be chased after and caught, and vegetables stayed fresher for a longer period than meat. Fermentation methods may have been adopted as this occurred naturally, and since fruit, especially grapes and apples, ferment to alcohol, this may have caught on as a popular practice. Although alcoholic products of grains are not allowed on the Paleo diet, moderate amounts of wine and cider are. The caveman was much more physically active than modern man, being a hunter-gatherer, and there was a better balance between energy consumption and energy expenditure. Since animals were not farmed in Paleolithic times, they did not produce milk for human consumption. Milk contains lactose which raises insulin levels, as do other sugars, even fructose in fruit, so the Paleo diet reduces risks of glucogenic diseases such as obesity and diabetes. The types of plants consumed would have varied vastly from what is grown today, even in the wild. The food was entirely organic as well. This is an aspect that is not sufficiently emphasised in the Paleo diet. There were many more varieties of fruits and vegetables then which are now extinct. 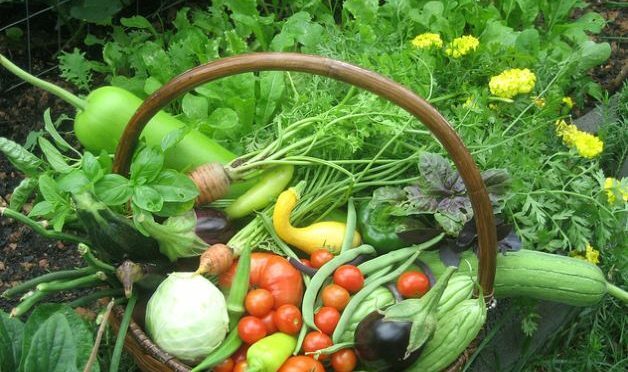 Also many vegetables which we consume today did not exist in those times, such as broccoli, cabbage and cauliflower, which are modern cultivars of the ancient species Brassica oleracea. Unless grown under organic conditions, most fruit and vegetables are sprayed with pesticides and fungicides and are genetically modified. In today’s society, there is an over-consumption of meat and meat products and an insufficient vegetable intake. There is possibly an over-emphasis on meat over vegetables and this presents difficulties for someone who wishes to follow a vegetarian or vegan diet or simply wants to decrease their meat consumption, as legumes and grains are excluded. Legumes supply a large proportion of protein for the vegan. Dairy products including yoghurt, kefir and cheese, which contribute protein to a vegetarian diet, are also excluded. The increase in affluent societies brings with it an increased demand for meat and fish and seafood. This is decimating populations of sea life and is promoting intensive farming methods with accelerated growth in the animals using hormones and questionable components in the animal feed. Antibiotics are required due to the high risk of infection in the animals and many animals are suffering in appalling conditions. The way to avoid all of this is to consume organically fed free range produce, pasture raised under humane conditions. 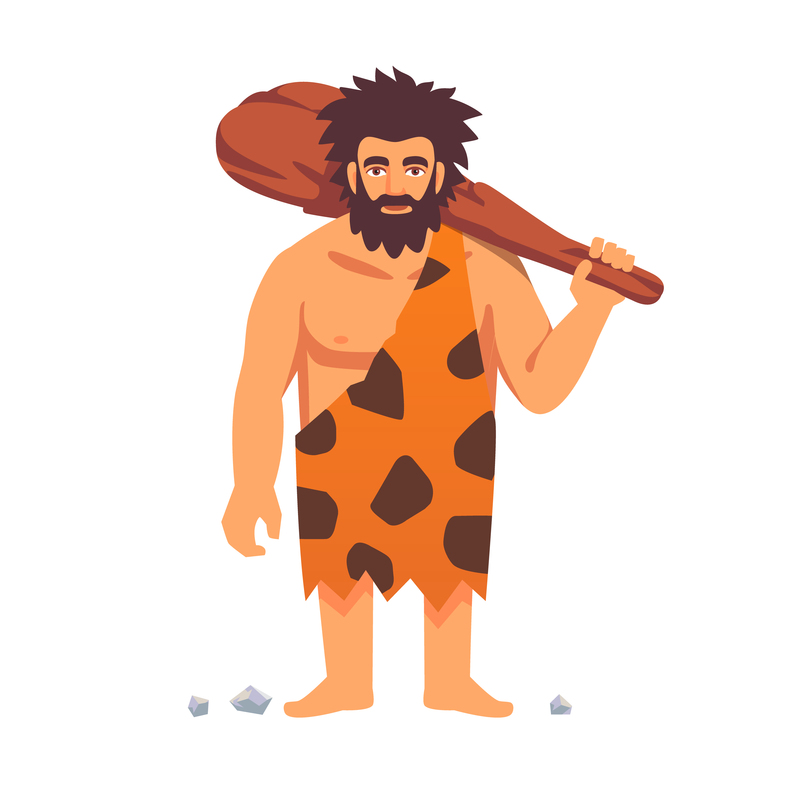 The caveman’s diet would have had possibly an inadequate calcium content (but maybe he ate the bones too), but compensated with a high levels of magnesium from green vegetables and vitamin D from the sunshine if they wore little or no animal skin clothing. The diet is also quite high in fat, but if lean meats are consumed together with an increased quantity of vegetables that are not overheated, there is no danger of increasing levels of bad cholesterol. Up to 100 years ago, pesticides and herbicides and antibiotics were not used in farming methods and crops were naturally fertilised and rotated so as not to deplete the nutrients in the soil. Food was naturally “organic”, locally produced and seasonal. We may wonder why it is necessary to revert to a diet that is speculated to have been eaten a million years ago rather than perhaps a few hundred years ago. Even then, most people ate what was available out of necessity. Today many types of food are available all year round, and we are aware of how to balance the components in the diet. Not everyone reacts to legumes or to grains, even though a wheat intolerance is more common. This is mainly due to the rapid raising of bread these days compared to 36 hours in the past which broke down a considerable amount of the gluten. Removing grains and legumes completely from the diet decreases the fibre intake and also removes many healthy vegetarian options. The diet is quite restrictive long-term and most people following the Paleo diet would adapt certain aspects of it rather than following it strictly. The Paleo diet advocates the consumption of food as close to the natural source as possible. This avoids processed foods, genetically modified foods, foods with chemical additives, foods containing substances that are pro-inflammatory (grains and legumes). Legumes (beans, peas, lentils) contain lectins which can cause digestive problems in some people. Grains contain phytates (as do some vegetables) which decrease absorption of minerals, and some contain gluten, however not everyone has a reaction to these foods. Sprouting grains and legumes can significantly break down these components. Many people have a wheat and dairy intolerance, and wheat-based products raise blood glucose levels and insulin levels causing obesity. Sugar is over-consumed in our modern society and seems to be hidden in many products such as bread and cereals. This is leading to an increased prevalence of obesity and diabetes amongst other conditions. The Paleo diet excludes refined sugar but includes coconut sugar, maple syrup, agave, honey. Again, over-consumption of these foods should be avoided. Eating more complex carbohydrates, such as root vegetables, balances the blood sugar levels and prevents the rise in insulin which lowers the blood sugar and makes us hungry and fat. We stay fuller for longer with more healthy fats in the diet, such as avocado and coconut. Artificial sweeteners and additives are excluded and many people react to these. Fresh fruit is the preferred alternative to sweetened foods. Eating Paleo as much as possible encourages an awareness of healthy options and avoidance of artificial ingredients. For a vegetarian, it may be necessary to include dairy products, legumes and quinoa and amaranth.